I have had a long engagement with the creative and cultural sectors, ever since I was Chief Executive of the Arts & Humanities Research Board, and this continued as Warden of Goldsmiths. My involvement the sector includes being on the boards of the Courtauld Institute, the Horniman Museum and the National Maritime Museum, and I shall shortly become Chair of the Crafts Council. I am therefore closely in touch with the importance of the creative and cultural sectors, and also with the somewhat limited ways in which that importance has been articulated. I’m Director of the AHRC's major Cultural Value Project, which invests significantly in new research and other activities to examine the breadth of the ways arts and cultural engagement makes a difference to individuals and society, and to identify methodologies needed to provide evidence of those very diverse sources of value. While recognising the economic benefits, the project aims to move beyond them to the compelling range of other components of cultural value. The Warwick Commission's work, over a shorter time period and with an overlapping but different set of priorities, will constitute another major contribution to our thinking in this area, and I am pleased to be involved. Professor Geoffrey Crossick is Distinguished Professor of the Humanities in the School of Advanced Study, University of London and Director of the AHRC Cultural Value Project. 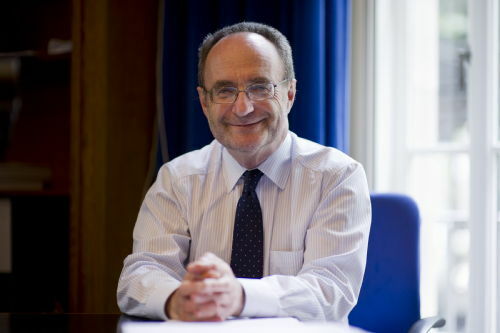 His previous roles include Vice-Chancellor of the University of London, Warden of Goldsmiths, Chief Executive of the former Arts & Humanities Research Board, and Pro-Vice-Chancellor (Academic Development) and Professor of History at the University of Essex. He is a social historian of 19th- and 20th-century Britain and continental Europe, including the world of small enterprise, which adds a historical dimension to his interest in contemporary crafts. He speaks nationally and internationally on the importance of the arts and humanities and on the creative economy. He is Chair of the Crafts Council, sits on the governing boards of the Courtauld Institute, the Horniman Museum and the National Maritime Museum, is a member of the British Library Advisory Council and Chair of the Board of the Arts & Humanities Research Institute at Trinity College Dublin.